Since last year’s Dreamforce, Silverline has rolled out numerous new solutions for our clients. 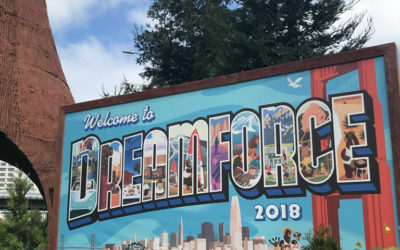 I’m excited to highlight some of them in this blog post and invite you to meet our Financial Services Team at Dreamforce to learn more! Schedule a meeting in the Silverline Lounge to connect with the team or drop by booth #900 in Moscone South to discover how Silverline’s Client Services team can support your organization. A locally owned bank that puts customers first, Paducah Bank needed a solution that provided a 360-degree view of their customers, solving the problem of disconnected, siloed information. Additionally, the bank needed a way to centralize pipeline to enhance collaboration and develop an understanding of the customer. Paducah Bank partnered with Silverline to implement Financial Services Cloud, giving the bank an insight into their customers across departments. Paducah Bank’s team selected criteria to classify their customers based on their business needs, which allowed for added depth and a personalized customer experience with the bank. Employees now leverage Salesforce’s robust reporting and dashboard capabilities to support customer tracking. The solution has enabled the bank for future growth. Learn more about Paducah Bank’s story by watching the webinar, Start Building Stronger Customer Relationships with Financial Services Cloud, we recently delivered together. Insurance companies need to be able to rely on real-time underwriting updates and automated workflow to stay competitive in this challenging environment. Accurate marketing and customer retention are a must for any solution, guiding the customer through their journey, in this case, quite literally. Travel Insured International historically focused on a business to business sales model. To stay competitive, they needed to branch out into the consumer market. They were already using Pardot successfully, but to take the next step in their business, they needed more. More flexibility, scalability, and a bigger toolbox to take on an increased workload. 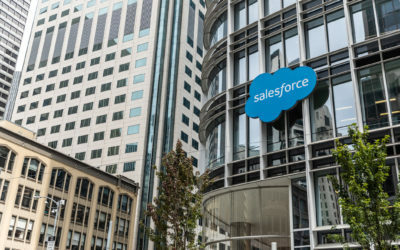 The company decided Salesforce Marketing Cloud could give them the tools they required to get to the next stage of their business evolution. Not only did the Marketing solution provide them with the one on one engagement their new customers required, it gave them automated emails, co-branded travel agency communications, social advertising, and social listening. It boosted their brand recognition in a sea of other travel insurance providers, with higher click-through rates and less unsubscribes from email campaigns, indicating increased brand loyalty. In a field where brand loyalty and recognition is everything, Silverline helped Travel Insured International stand above the crowd. There’s an evolution in private equity right now as the asset class grows and becomes more versatile in response to the customer’s demands. With ever-increasing choices and diversification, a solution needs to be able to change and evolve with the business. Fund strategy expansion is placing the customer in control of choosing that which best suits their company’s needs, with the best capital providers poised to accelerate growth. As the conventional boundaries of geography give way, private equity solutions are more important than ever to harness the opportunities presented, while promoting mobile capability replete with transparency and real-time communication. A leading global growth equity firm needed a solution to accommodate it’s ever-expanding portfolio. With over 100 investment professionals all over the globe, they needed improved workflow, up to the minute updates, and a user-friendly mobile app that harnessed the full power of the Salesforce Platform. Silverline built a custom solution on the Lightning Experience with an intuitive streamlined user interface that increased the company’s productivity and made transparent communications a reality. Having a platform that is efficient while managing rapid growth across multiple sectors is no easy task. The solution needs to be flexible, scalable, and configurable while integrating marketing content across all levels and put the customer first. Up to the minute information and transparency contribute to pipeline hygiene which means bigger deals closing with greater frequency. A leading middle market Investment firm was running into barriers to achieving maximum business process efficiency. Part of the challenge was the use of programs and solutions that had no mobile access for the banking team when they were in the field. The company also needed visibility and integration with major third-party solutions required in the industry. Silverline developed a customized solution that met the companies needs plus customization that made day-to-day tasks a smoother process for their team. By leveraging Sales Cloud, Silverline provided a framework for managing potential leads and capital providers, matching client and capital provider interests in a revolutionary interface that added to the companies reputation and garnered new business. If you are attending Dreamforce and would like to discuss how Silverline can help take your business to the next level, click here to schedule a meeting. Not attending Dreamforce, but you still want to explore these solutions? Subscribe to our blog as we continue to dive into all the Financial Services team can offer or contact us to learn more. This entry was posted in Financial Services, Salesforce News. Bookmark the permalink.